Shot this one day while testing out the new D300 for work. 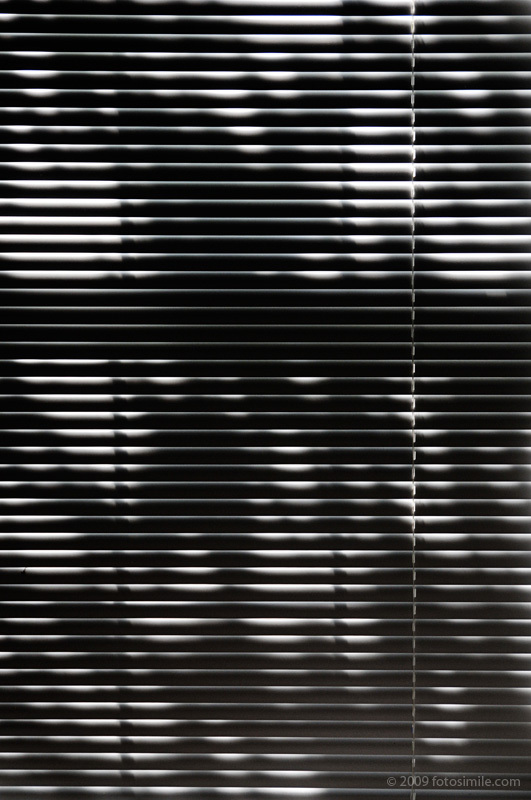 I always love the play of light and shadow on blinds or coming thru windows falling on a floor, and the abstractions the light creates. And yes, this image is very similar to this earlier image, posted here. Studies like this encourage the imagination . . we try to see what lurks beyond the blind . . believe we can see a breeze flutter the slats.